Stop Adani sets the agenda at the opening press conference of the Queensland state election campaign, 29 October 2017. As Australia heads towards a federal election here are three stories on the Commons to give you food for thought and action. This ChangeMakers episode features the story of GetUp’s successful campaign to unseat conservative Tasmanian MP Andrew Nikolic during the 2016 federal election. We’re looking at one of the more remarkable local election campaigns in Australian political history. It’s a story about persuasion but above all, it’s a story about place, because it turns out that if you want to persuade someone, you’ve have to know where they are at – and build off that. Becky Bond was a senior adviser on the Bernie Sanders 2016 presidential campaign and co-author of Rules for Revolutionaries: How Big Organizing Can Change Everything. In this recording from a Melbourne Campaigners Network (MCN) event she shares tips to scale up your efforts, empower members and supporters, and catch the fire of momentum. In his inspiring run for the presidency, Bernie broke a lot of rules and challenged the conventional wisdom. Along the way, the volunteer grassroots movement that helped propel his campaign learnt a whole new set of rules that can help grow the political revolution. There is much to learn from past campaigns, whether recent or over a century ago! Read Joel’s reflections on Stop Adani and the Suffragettes. 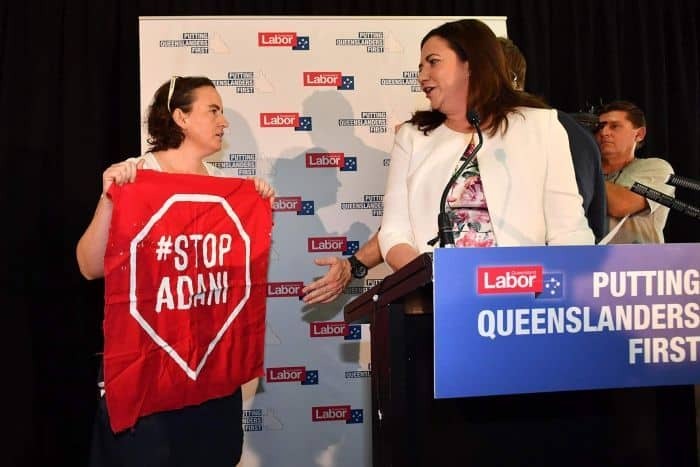 The approach taken by Stop Adani protestors in the 2018 Queensland state election campaign is similar to that of the Women’s Social and Political Union (WSPU) in their campaign for women’s suffrage in the early 20th century. We can learn from both campaigns when considering options for campaign targets and tactics… The lesson? You should target the decision-maker most likely to give you what you want, and sometimes that means creating political risk for them.